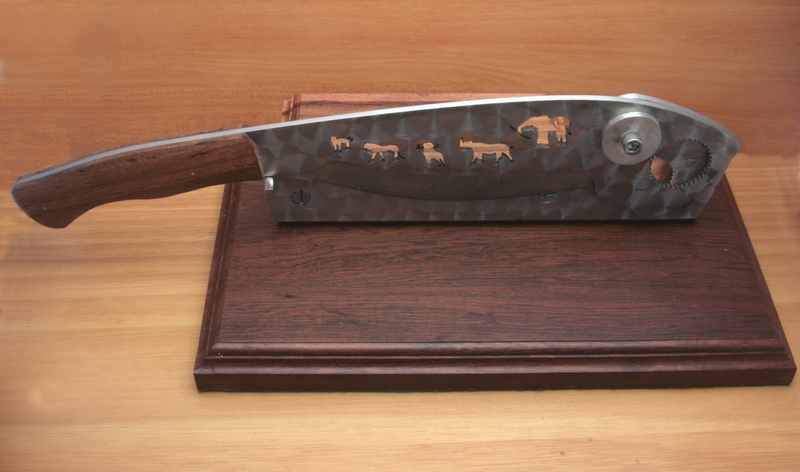 A proven fact of life “ In order to receive you must be willing to give “ and what better way is there than giving that to an appreciated client, a quality custom knife with his name permanently engraved in steel. Your name can also be engraved to ensure a permanent memory. Photo: Biltong carver with nut cracker. 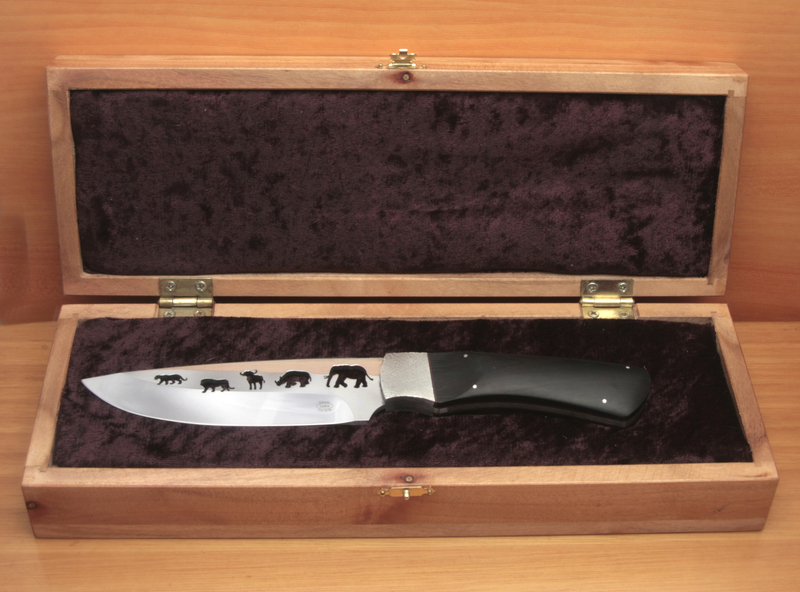 Is made off 12c27 stainless steel for superb cutting edge ability The big 5 is cut out onto the blade by laser. Instead of the big 5 your company’s name can be laser cut onto the blade .